2015 was a magical year for the Chicago Cubs as they became the talk of Major League Baseball. Under the watch of manager Joe Maddon, the young Cubs exceeded many expectations as they won 97 games in the regular season while they also won their first playoff series since 2003. But in the National League Championship Series, the power bats of the Cubs were shut down by the dominant starting pitching of the New York Mets. And although that the Cubs are still one of the younger teams in MLB, they feel that that they have everything in place to win the World Series for the first time since 1908. Last season the Cubs had one of the top power lineups in the National League as they were fifth in home runs with 171 and the long ball will once again be en vogue for the North Siders. Aside from being the starting corner infielders for the Cubs, first baseman Anthony Rizzo and third baseman Kris Bryant have become the cornerstones of this lineup. Last season Rizzo and Bryant combined to hit 57 home runs with Bryant being named as the NL Rookie of the Year. Bryant did this in spite of missing the first few weeks of the 2015 Major League Baseball season as the Cubs held him back in the minors, but this combination gives Chicago one of the best three-four tandems in baseball. And what makes it even scarier is that Rizzo is only 26-years of age while Bryant is just 23. Aside from Bryant and Rizzo, the Cubs have more young talent in their lineup with the likes of second baseman Addison Russell and catcher/outfielder Kyle Schwarber. Schwarber is a catcher by trade, but his power bat made it tough for Maddon to take him out of the lineup as he hit 16 home runs in just 69 games. With Miguel Montero and David Ross splitting time at catcher for the Cubs, Schwarber was put in left field which was a train wreck for the Cubs as he was new to the position and he quickly became a defensive liability which really showed up when they lost to the Mets in the National League Championship Series. This season however, you can expect to see Schwarber start games for the Cubs, but he will definitely be pulled in favor of a better defender in late-inning situations. But the already potent Cubs lineup added some pop this off-season with the addition of second baseman Ben Zobrist and outfielder Jason Heyward. After helping the Kansas City Royals win the World Series last October, Zobrist joined the Cubs as a free agent when both parties agreed on a four-year, $56 million deal in December. Zobrist is an Illinois native while he played under Maddon with the Tampa Bay Rays which included the franchise’s only American League Pennant in 2008. Zobrist will primarily be used at second base, but he is utility player that can play all three outfield positions along with most positions on the infield. At the plate Zobrist is a contact hitter that has a career on-base percentage of .355 while he his also one of the toughest players to strike out in baseball. 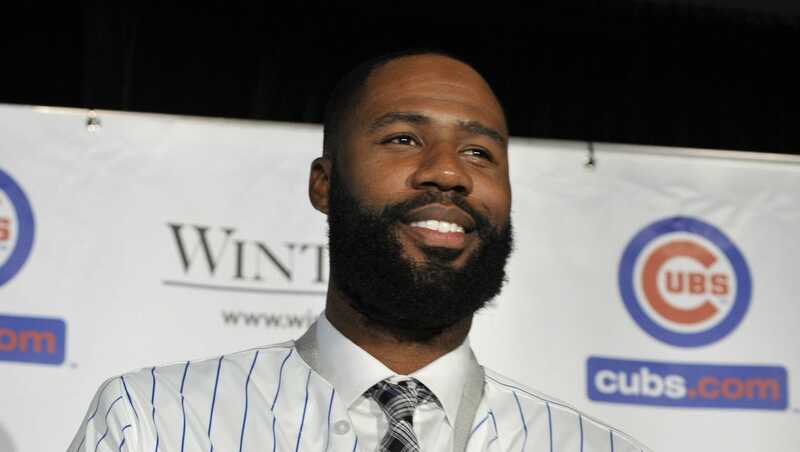 The rich got richer when the Cubs were able to lure Heyward to the Windy City. Heyward spent the first five years of his Major League Baseball career with the Atlanta Braves where he finished second in the National League Rookie of the Year voting in 2010. Last year Heyward was traded to the St. Louis Cardinals and he appeared to fit in there. But even though that the Cardinals offered Heyward more money in free agency, he decided to join the Cubs which should add more fuel to one of the oldest MLB rivalries. What Heyward gives the Cubs is a solid defender in right field as he is a three-time NL Gold Glove winner while he provides even more depth in their lineup. As good as the Cubs lineup can be, their starting pitching staff isn’t that shabby either. Last year Cubs team earned run average of 3.36 was third in the National League as they were led by starting pitcher Jake Arrieta. Arrieta had a breakout season in 2015 as he won 22 games to become the first Cubs pitcher since Greg Maddux in 1992 to be named as the National League Cy Young Award winner. Over the second half of the 2015 Major League Baseball season, Arrieta was unhittable as he finished the year with an earned run average of 1.77 and you just have to wonder if he’ll be able to do it again. Behind Arrieta, the Cubs have veteran starting pitchers in John Lackey and Jon Lester as their postseason experience should pay dividends for the North Siders in crucial situations. The Cubs will begin the 2016 Major League Baseball season on the West Coast with a three-game set against the Los Angeles Angels which will be followed by a four-game trip to the desert where they’ll face the Arizona Diamondbacks. And even in the Cubs don’t get off to a fast start, this is a team that has been constructed by president of baseball operations Theo Epstein and general manager Jed Hoyer that has the look of a contender for a very long time. The last three Major League Baseball seasons have seen the Pittsburgh Pirates be one of the better teams in the league, but success in the postseason has eluded them. The Pirates have been unable to win the National League Central as they’ve been unable to get over the hump in the division that is the St. Louis Cardinals. And now the Bucs find themselves sandwiched in the NL Central between the veteran Cardinals and the upstart Chicago Cubs, which has led to them getting overlooked somewhat in Western Pennsylvania. The Pirates are coming off of their best regular season since 1991 as they won 98 games, but they couldn’t win the NL Central due to the fact that the Cards won 100 games. The Pirates then hosted the NL Wild Card Game which they lost for a second consecutive year as it was the Cubs that ended their season. And as the 2016 MLB season is right around the corner, you can expect the Pirates to have a bad taste in their mouths. Pirates manager Clint Hurdle can be viewed as miracle worker as he has changed the culture in Pittsburgh during his five years there. Prior to Hurdle’s arrival in 2011, the Pirates had not had a winning season since 1992. But now the Pirates are a team that expects to contend for the World Series every year which can also be attributed to the fact that team general manager Neal Huntington has done a good job in giving Hurdle the talent on the field that can produce a winner. Pirates outfielder Andrew McCutchen got off to a slow start in 2015 which also hurt Pittsburgh in the standings, but he still rallied to bat .296 with 23 home runs and 96 runs batted in. McCutchen is a former National League MVP and you can expect him to once again be in the conversation for the award in 2016. In seven years with the Pirates, McCutchen has undoubtedly become the face of the franchise. McCutchen is currently 14th on the Pirates all-time WAR list at 38, and a solid campaign in 2016 could see him surpass legends such as Ralph Kiner in the category. Aside from McCutchen, the Pirates have some young talent in their outfield in Gregor Polanco and Starling Marte. Marte is coming off of winning a Gold Glove Award for the first time in his career and he could be a player that might flirt with being an All-Star this year. Like Marte, Polanco is a solid defender, but he is a player that must develop more plate discipline as he struck out 121 times last year. The Pirates felt that they were not going to be able to sign second baseman Neil Walker to a long-term deal and thus they traded him over the winter to the New York Mets in exchange for starting pitcher Jon Niese. Walker was a solid all-around player for the Pirates, but the team was ready to move on as they have faith in their middle infielders consisting of Sean Rodriguez, Jung-ho Kang, and Jordy Mercer to get the job done up the middle. The Pirates enjoyed the second best team earned run average in the National League and they’ll need more of the same in 2016 if they expect to be a contender. Starting pitcher Gerrit Cole is set to embark on his fourth Major League Baseball season and he’s showing all of the promise the made him the first overall pick of the draft in 2011. Cole is coming off a 19-win season and he has given Pittsburgh a bona fide ace for the first time since the days of Doug Drabek. Behind Cole in the Pirates starting rotation, there will be a veteran presence with Francisco Liriano, Ryan Vogelson, and Niese while relief pitcher Mark Melancon is looking to follow up his stellar 2015 campaign as he set a single-season franchise record in saves with 51. The Pirates will begin the 2016 Major League Baseball season against their nemesis in the Cardinals. And if Pittsburgh is able to handle their business against the Cards, it could set the tone for them for the entire campaign. In 2015, the St. Louis Cardinals won 100 games, but when the postseason rolled around, they didn’t have the feel of a dominant team as the injuries that they were able to overcome in the regular season finally caught up to them in playoffs where they lost to the Chicago Cubs in the National League Divisional Series. And whereas the NL Central could once again be the toughest division in Major League Baseball in 2016, the Cardinals don’t want to get lost in the shuffle behind the Cubs and Pittsburgh Pirates. Since 2000, the Cardinals have only had one losing season and over that stretch they’ve won a pair of World Series Championships. 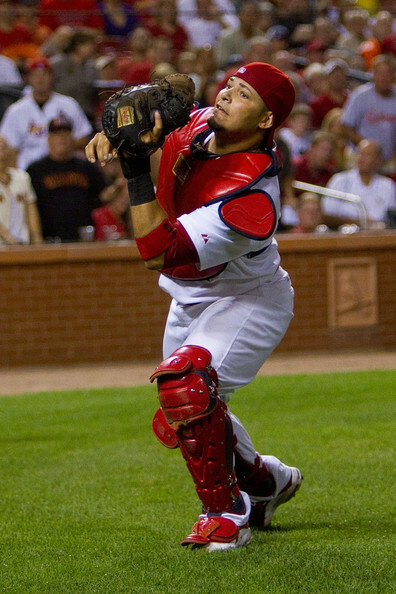 One player that has been with the Cards for a good portion of that success has been catcher Yadier Molina. Molina has been the Cardinals starting catcher since 2004 and he’s developed into one of the best catchers in Major League Baseball as he is a defensive wizard behind the plate while also making the lives of his starting pitchers easier due to his ability to call games. But late in the 2015 MLB season, Molina suffered a thumb injury late in the regular season that limited his effectiveness along with hindering the chances for St. Louis to be successful in the postseason. Molina has undergone several thumb procedures which could see him miss the start of the 2016 MLB season as he recovers. And if Molina isn’t ready to go at the start of the season, it will put the Cardinals in a bind. Last off-season, the Cardinals acquired outfielder Jason Heyward from the Atlanta Braves in hopes that he would fit right into their lineup. Heyward was able to do that as he led the team in batting average (.293), and hits (160). The Cards knew the risk that they were running in acquiring Heyward due to the fact that he was set to become an unrestricted free agent last October. And after one season with the Cardinals, Heyward bolted in free agency to sign with Cubs. Individually, the Cardinals lineup might not be that attractive to the casual fan, but as a team they are one of the most cohesive units in baseball which is due to their never say die attitude. Led by infielders Matt Carpenter, Kolten Wong, and Jhonny Peralta, the Cardinals have a team that is full of clutch hitters. And even though that the Cards might not possess one of the top offenses in baseball, you can never count them out until the final out is made. The same can be said for the Cardinals pitching staff that is full of professionals in starting pitchers Adam Wainwright, Michael Wacha, and Lance Lynn. Wainwright missed the majority of 2015 after he ruptured his Achilles tendon, and even at the age of 34, he is player that you never want to count out as he displays nothing but grit every time that he takes the mound. Also returning to the Cardinals rotation after an injury is starting pitcher Carlos Martinez. Last year was Martinez’s first season as a starter and he was cruising until a shoulder injury in September abruptly put him on the shelf. But being that Martinez didn’t require any off-season surgery, St. Louis is hopeful that the youngster will be ready to bounce back. In Wainwright’s absence last year, Wacha emerged as the new ace in St. Louis as he led the club in wins with 17. However in three years with the Cardinals, Wacha has yet to throw 200 innings in a season and you have to wonder if the youngster will run out of gas during the stretch run. After losing starting pitcher Jon Lackey in free agency to the Cubs, the Cards were able to sign starting pitcher Mike Leake. The Cardinals are very familiar with Leake due to his time with the Cincinnati Reds and he should become a solid contributor in St. Louis at the back of the rotation.Last season relief pitcher Trevor Rosenthal saved 48 games for St. Louis which was second in the National League and you can expect Cardinals manager Mike Matheny to once again rely on his rubber arm. The Cardinals might lack star appeal in 2016, but as always this is a team that you never want to count out. After qualifying for the postseason three times from 2010-2013, the Cincinnati Reds have fallen on hard times and they are now in full rebuilding mode. The Reds are coming off of their worst season since 1937 and they appear to have already waived the white flag for 2016. This off-season has seen the Reds trade All-Star third baseman Todd Frazier to the Chicago White Sox and All-Star relief pitcher Aroldis Chapman to the New York Yankees. And to makes matters worse is that the Reds parted with both players while not getting any quality players back in return which doesn’t leave that much optimism for the folks in Southern Ohio. There are some people around that wanted to see the Reds part with manager Bryan Price as well, but to his credit he has been dealt a very tough hand as in his two years with Cincinnati, the team has been hit hard with injuries. And now Price will be tasked with turning water into wine for the Reds in 2016. For the Reds they still have first baseman Joey Votto in the middle of their lineup. 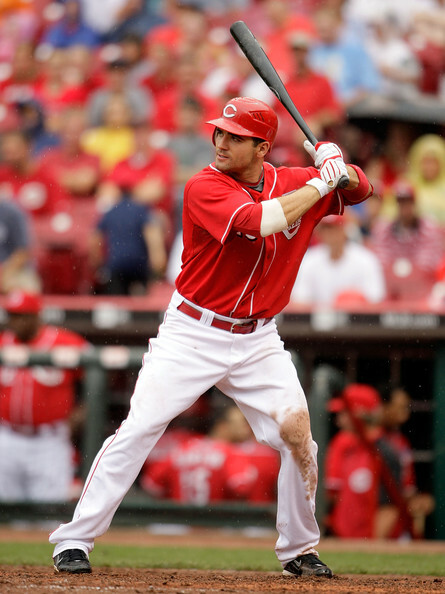 Votto is a former National League MVP, and along with having a career on-base percentage of .423, he is a professional hitter. But at this rate I doubt that Votto will finish the year in Reds uniform as a contender could be willing to take him and his contract off of Cincinnati’s hands. Along with Votto, second baseman Brandon Phillips is a player that does give the Reds the presence of a veteran in their lineup, but as Cincinnati appears to be in the midst of a fire sale, I doubt that he will be with the club by the August 1, trade deadline. Last year saw the Reds have one of the worst pitching staffs in the National League and that could once again be the case this year as Anthony DeScalfani is the only starting pitcher returning to the team that won at least 9 games in 2015 as the Cincinnati bullpen will be busy this season. With the Chicago Cubs, Pittsburgh Pirates, and St. Louis Cardinals expected to run things in the National League Central this year, the Reds could get lost in the shuffle rather quickly. And by season’s end, Cincinnati could have the look of a glorified minor-league team. 2015 wasn’t a good one for the Milwaukee Brewers and the upcoming Major League Baseball season could be a very difficult one for them as well. The Brewers lost 94 games last season while also going through two managers as they are attempting to regain their form and once again become a contender in the National League Central. But the main problem with the Brewers right now is the fact that they simply don’t have that much talent which will find them fighting an uphill battle in the NL Central behind the Chicago Cubs, St. Louis Cardinals, and Pittsburgh Pirates. The Brewers pitching staff struggled mightily last season as they were 11th in the National League in earned run average (4.28), and 14th in quality starts (63). And Milwaukee only had one starting pitcher (Jimmy Nelson) that won at least 10 games last season. Nelson was also the only starting pitcher for the Brewers to make at least 30 starts last season as this is a team that is desperate for more depth in their rotation. For Brewers manager Craig Counsell and pitching coach Derek Johnson, they are hopeful that Nelson’s career is on the upswing while also being optimistic that veteran starting pitcher Matt Garza will be able to find the fountain of youth in order to help Milwaukee stay in contention this summer. Like the Brewers pitching staff, the lineup isn’t loaded with that much talent which could make veterans such as outfielder Ryan Braun and catcher Jonathan Lucroy expendable on the trade market as Milwaukee looks to get younger and rebuild. For Counsell, he can only hope that the Brewers don’t fall out of contention early in the National League Central which would make an already difficult job that much tougher.